"Hotham-THompson 224p. mint pbk reprint. 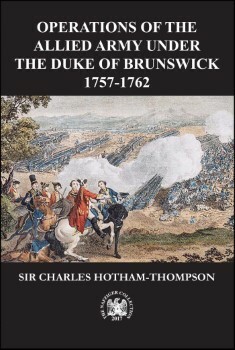 This work was originally published in 1764 and its author was a British officer who served with the Duke of Brunswick against the French"